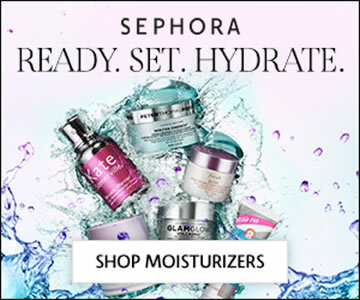 So you want to know how to find the best moisturizer for dry skin? We’re all familiar with the signs… your skin is tight, itchy, flaky, sensitive, rough, and red. It’s uncomfortable, unsightly, and occasionally unpredictable. When the dry spell strikes, it leaves you desperate for some relief and fast. Your skin is moisture deprived and begging for hydration, while simultaneously retaliating to any attempt at covering it up. You strategically apply your makeup with a gentle touch yet it’s literally falling off as fast as you’re trying to put it on. The finished product looks like a highly contoured Humpty Dumpty that someone forgot to properly put back together again. Masking it obviously doesn’t help, so the only solution is to treat and prevent whenever possible. The overall answer to this pesky problem is rather simple: moisturize. It can be that simple. We need to moisturize our parched and protesting skin. But it’s not as mindless as slathering on any old moisturizer or packing on an inch of petroleum at night. Dry skin entails a little extra attention and delicate care. Let’s think of it as our slightly diva dry skin. Don’t worry, it’s nothing crazy to solve, it just needs a dose of the right ingredients. Just as we check the ingredients in our foods, we should do the same with our moisturizers. I’m not saying you need to be an expert, but simply knowing which ingredients to look for (and to avoid) will do wonders for your skin. We’ve taken it a step further for you and compiled a list of the most beneficial ingredients to help soothe and prevent dry skin. As we just mentioned, the right moisturizer will contain certain ingredients while abstaining from others. Dry skin is particularly delicate and sensitive. This means that some things will exacerbate the problem, irritate the skin, and increase the loss of oil. Natural alternatives to chemical preservatives in moisturizers can be citric acid, alpha tocopherol (vitamin E), lemon, honey, sugar, rosemary extract, grapefruit seed extract, and neem oil. Some of the ingredients like Salicylic acid, Willow bark, Benzoyl Peroxide, and Retinoids work very well for other skin types, such as oily or acne prone. However, they may be too harsh for particularly dry skin. If you want to try a moisturizer that includes some of these ingredients, first spot check on a small portion of skin to see how your skin reacts. Also, don’t use these products everyday. 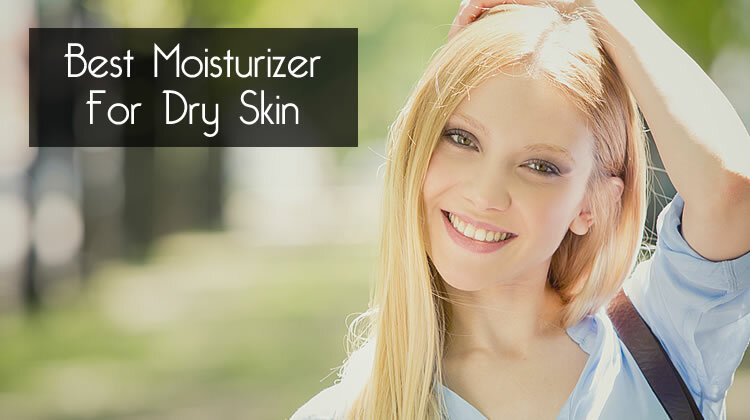 Now it’s time to look at the ingredients we want in a valuable dry skin moisturizer. Olive oil is a great all-around moisturizer, especially for those with very dry skin. 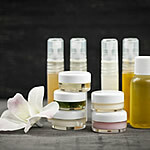 Mediterranean women have utilized it for centuries as a natural, intensely hydrating moisturizer. This oil contains high amounts of vitamin E and fatty acids, which improve the hydration, durability, and elasticity of skin. It’s well absorbed into the skin because it’s similar to the oils that we naturally produce. Olive oil is rich in antioxidants that help protect your skin from sunlight damage and free radicals. Another long-standing, natural moisturizer is Aloe vera. It’s incredibly effective for improving skin hydration by way of a humectant mechanism. Humectant is just a fancy way of saying preserving or retaining moisture. Aloe vera softens the skin without clogging pores or leaving a greasy film behind. It’s loaded with powerful antibacterial, antiseptic, and anti-inflammatory properties that stimulate cell growth, protect, and soothe skin. Aloe vera may also support youthful looking and feeling skin due to the high amount of vitamin E, C, and beta-carotene. Lactic Acid is an Alpha Hydroxy Acid (AHA) that’s best suited for those with sensitive and dry skin. This particular acid is less irritating and more moisturizing than other AHAs. Lactic acid is an exfoliator that removes the outermost damaged and dead skin cells. This leaves your skin looking and feeling more toned, smooth, and bright. It also helps reduce the appearance of dark spots and wrinkles. But most importantly, lactic acid is a humectant that does a fantastic job at attracting and holding in moisture. This leaves your skin supple, soft, and hydrated through the entire day! Our skin naturally produces urea. Urea plays a crucial role in the body’s natural moisturizing factor (NMF) that works to efficiently protect and hydrate your skin. It’s necessary to regulate our skin’s moisture content and production, keeping it soft and supple. Urea is considered hygroscopic, meaning it works to absorb and retain moisture on the outer surface of our skin. Dry, dehydrated skin may have anywhere from 50% to 80% (those with eczema) less urea than healthy skin does. Urea is more than just a temporary fix because it actually improves the body’s ability to produce and maintain moisture. It possesses unique anti-microbial and anti-itch qualities, making it a perfect match for those with dry, irritated skin. Avocado oil decreases inflammation, supports healthy cell function, and increases collagen metabolism due to its rich amount of essential omega-3 fatty acids and vitamin E.
It also contains beneficial vitamin A, vitamin D, beta-carotene, antioxidants, lecithin, and protein, all of which benefit the skin by moisturizing and protecting it. This oil is a powerful emollient and calm itchy, damaged skin, while healing and hydrating it. Sweet almond oil touts a myriad of beneficial health effects. It’s rich in monounsaturated fatty acids, proteins, vitamin E, zinc, potassium, and even more vitamins and minerals, making it a fantastic choice for healthy skin and hair. This mild, hypoallergenic oil is quickly and entirely absorbed, making it perfect for sensitive skin. Its natural properties deeply moisturize and hydrate dry, irritated skin. Sweet almond oil keeps skin supple and soft. This oil protects the skin from UV radiation damage and oxidative stress. This also helps reduce the appearance of fine lines, wrinkles, and other signs of aging. Not to mention it’s a fantastic makeup remover, especially around sensitive areas like the eyes. Safflower oil is abundant in linoleic acid, or omega-6 fatty acid, making it ideal for improving skin’s texture and quality. Linoleic acid supports the production of ceramides, which are lipids that retain water and prevent the skin from getting dehydrated. It also helps clear skin blemishes and scars because it stimulates the regeneration of new skin cells. It’s considered one of the best oils for treating dry, inflamed skin. If you haven’t already noticed (or taken part yourself), the use of coconut oil has skyrocketed in recent years. Coconut oil is the gift that keeps on giving and we can’t get enough of it. One main benefit of coconut oil is that it’s an exceptional skin moisturizer. Compared to other oils, it’s able to penetrate the skin much easier due to its lauric acid content. This acid allows it to absorb deep into the skin and remain in the dermis. It acts as a protective barrier to keep the surface of the skin clear of harmful impurities like environmental pollutants and dirt. Coconut oil seals in moisture and promotes the formation of collagen. This keeps skin hydrated and supple. Dry skin isn’t pleasant and has a knack for showing up at the most inopportune times. Red, flaky, irritated skin isn’t a good look (or feel) for anyone. You don’t have to suffer, though! The right moisturizer will treat your symptoms and keep them from coming back. Remember which ingredients to avoid that are particularly harsh and drying on your already sensitive skin. Some of these include alcohols, sulfates, parabens, and fragrances. 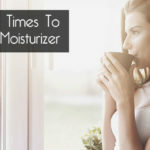 The best dry skin moisturizers will include a combination of the 8 beneficial ingredients we discussed. Keep them all in mind when you’re shopping for your new moisturizer. 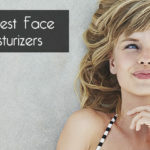 And if you’re looking for specific product recommendations on the best moisturizer for dry skin, take a look at our list here.